Proper film e&o insurance clearance procedures will allow your film insurance broker to obtain the best premium in the quickest possible time. What follows is part 2. Whether Production is fictional or factual, it should be made certain that no names, faces or likenesses of any recognizable living persons are used unless written releases have been obtained. Release is unnecessary if person is part of a crowd scene or shown in a fleeting background. Telephone books or other sources should be checked when necessary. Releases can only be dispensed with if the Applicant provides the company with specific reasons, in writing, as to why such releases are unnecessary and such reasons are accepted by the Company. The term “living persons” includes thinly disguised versions of living persons or living persons who are readily identifiable because of other characters or because of the factual, historical or geographic setting. All releases must give the applicant the right to edit, modify, add to and/or delete material, juxtapose any part of the film with any other film, change the sequence of events or of any questions posed and/or answers, fictionalize persons or events including the release and to make any other changes in the film that the applicant deems appropriate. If the person is a minor, consent has to be legally binding. If music is used, the applicant must obtain all necessary synchronization and performance licenses from composers or copyright proprietors. Licenses must also be obtained on prerecorded music. Written agreements must exist between the applicant and creators, authors, writers, performers and any other persons providing material (including quotations from copyrighted works) or on-screen services. Whether the production is factual or fictional, if distinctive locations, buildings, businesses, personal property or products are filmed, written releases must be secured. This is not necessary if non-distinctive background use is made of real property. If the Production involves actual events, it should be ascertained that the author’s sources are independent and primary (contemporaneous newspaper reports, court transcripts, interviews with witnesses, etc.) and not secondary (another author’s copyrighted work, autobiographies, copyrighted magazine articles, etc.). If you have any questions about multimedia e&o, please speak to your entertainment insurance broker. Good film E&O insurance - otherwise known as multimedia E&O - clearance procedures will result in the lowest possible premium and the simplest claims settlement in the event of a loss. Producers E&O insurance covers: invasion of privacy, infringement of copyright, libel, slander, defamation, plagiarism. The Clearance Procedures below should not be construed as exhaustive and they do not cover all situations which may arise in any particular circumstance or any particular production. Applicant and its counsel should continually monitor the production at all stages, from inception through final cut, with a view to eliminating material which could give rise to a claim. The script should be read prior to commencement of production to eliminate matter which is defamatory, invades privacy or is otherwise potentially actionable. Unless the work is an unpublished original not based on any other work, a copyright report must be obtained. Both domestic and foreign copyrights and renewal rights should be checked. 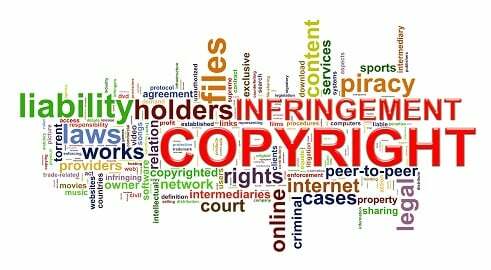 If a completed film is being acquired, a similar review should be made of copyright and renewals on any copyrighted underlying property. If the script is an unpublished original, the origins of the work should be ascertained - basic idea, sequence of events and characters. It should be ascertained if submissions of any similar properties have been received by the applicant and, if so, the circumstances as to why the submitting party may not claim theft or infringement should be described in detail. Prior to final title selection, a Title Report must be obtained. Part 2 to follow soon!